A Black Mile To The Surface does not disappoint. Why See The Stuffing 2018 - Manchester Orchestra, The Front Bottoms, Saves the Day? Pass the turkey! Atlanta's very own indie rock quartet Manchester Orchestra are back with their annual Thanksgiving celebration concert, coming just ahead of their 2018 trek with New Jersey rockers The Front Bottoms and iconic emo outfit Saves The Day. Now in its ninth year, this special one-night-only show is fast becoming as traditional as bad sweaters and food comas, but is sure to blast away any oncoming winter blues or post-Thanksgiving-come-downs with fiery riffs, driving drums and electric performances. 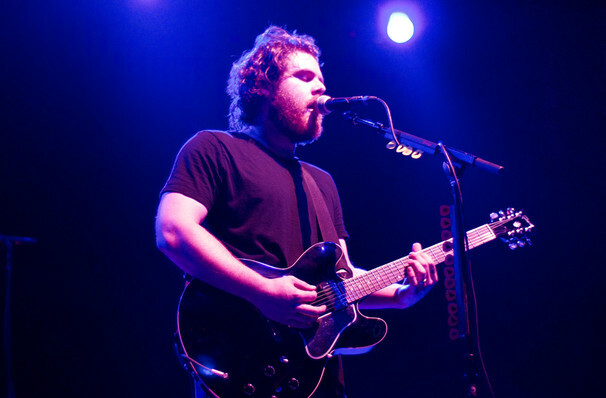 Whilst attending high school in the area, Manchester Orchestra frontman Andy Hull homeschooled in his final year to focus on the promising songwriting that he was already showing an affinity for. With the addition of bassist Jonathan Corley and Jeremiah Edmond, the trio released on their own label and gained a significant following in the Southeast, making their hotly anticipated and critically acclaimed debut with 'I'm Like A Virgin Losing A Child' in 2007. Ten years later they released their fifth studio album 'A Black Mile To The Surface' and continue to tour with their new material in tow. Sound good to you? Share this page on social media and let your friends know about The Stuffing 2018 - Manchester Orchestra, The Front Bottoms, Saves the Day at Fabulous Fox Theater.